Thanks for stopping by to read From the Trenches, our Q&A series here on Adwerx blog. These posts feature interviews with smart marketers and tech-savvy advisers who share their wisdom on the web and through social channels. 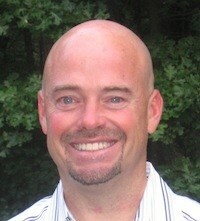 Bill has now been in the real estate business for 27 years and is very active in real estate social media circles. Digital marketing tactics that Bill suggests for success include understanding SEO, starting a blog and creating a well-constructed website. He authors and contributes to a variety of real estate blogs, including Massachusetts Real Estate Voice, Massachusetts Real Estate News, and Maximum Exposure Real Estate. Q. You were one of the first bloggers in the real estate market. Why did you continue when other people stopped? A. The reason is very simple; I have been really good at it. There is nothing better than having online exposure for your business. Today, growing your business and generating leads is all about being found online for competitive local keyword phrases. Having an understanding of blogging and SEO has allowed me to be in front of more people than any other avenue. If you can provide quality information that helps others, you are sure to benefit from putting effort into your digital marketing. Having a basic understanding of how SEO works goes a long way when it comes to reaching your business goals. Q. What is one way that you differentiate yourself from other real estate agents on the web? A. Besides writing general real estate articles that pertain to buyers and sellers, one of the other things that I have found to be remarkably effective is to set up local community pages on my websites. A good community page will show off your expertise for a given town or city where you sell. A well-constructed page should have a little bit of history on the town as well as things such as a general overview of the real estate market, school information, demographics such as population and crime rate statistics. Also be sure to include fun information, like activities available in the area orgreat restaurants to try. Here is an example of my Framingham Real Estate community page. This type of real estate page has become one of the foundations of my website. 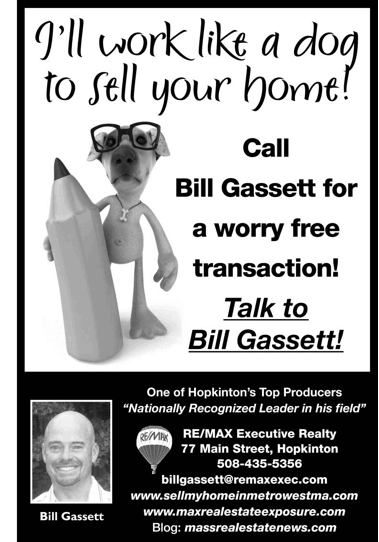 When a consumer arrives on this page, they can quickly see my expertise as a Framingham Realtor. If you are able to get a well-written page like this on the first page of search results, there will be folks calling you for an interview when they are ready to work with a Realtor. Q. You’ve seen the market through multiple boom and bust cycles. How has personal branding helped you survive and thrive during these phases? A. I have always been a big proponent of marketing my business as a successful Realtor. Most clients like to work with agents who are successful, whether the market is good or bad. In addition my clients see that I take the time and effort to really make their homes stand out online through exceptional photography, detailed descriptions and the use of video tours. One of the things that many agents fail to recognize is that you need to spend money to make money. Even when times are tough you need to invest back into your business. Marketing is one of the most important things in real estate and I make sure all of avenues are covered to the best of my ability. Q. How has technology (including social media, mobile, and the Internet) transformed your approach to marketing? What technology tools are you using to improve your productivity and more effectively communicate with your clients? A. The Internet and social media are the largest part of my business. I would not be where I am today without integrating a well indexed blog into my business and using appropriate social media channels to further my reach. One of my favorite social media platforms is Google+. In my opinion, this is one of the most under-utilized social media platforms by Realtors. Too many real estate agents are focused on Facebook and wasting time without any direction. Google+ is unlike any other social media platform, because it integrates with search. All content that is shared on Google+ has the ability to be found by more people online, especially with those that are following you. Google now allows people to claim “authorship” of their content, and when claimed will show their picture next to a Google search. Studies have estimated that having your picture next to a search result can increase the click-through rate by up to 33 percent or more. Want to learn more about using Google+ for your real estate marketing? Read this blog post. 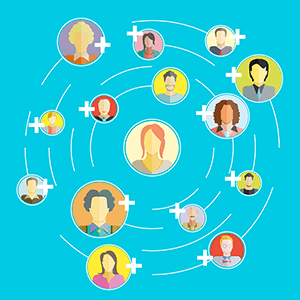 On Google+ there are groups called “communities,” that are set up to discuss various topics of interest. As soon as Google introduced the ability to form communities I started one myself. It is called the official Google Plus Real Estate Community. Right now there are over 5,300 like-minded folks in the industry sharing content related in some way to Real Estate. This has been another great way to get recognized online. In addition to Google+, I have found Pinterest to be a very interesting site that is full of potential for Realtors. People love visuals, and that fits perfectly with the real estate industry. The key in using Pinterest is to create interesting boards with great content that lots of people will want to follow and share with others. Similar to Google+ with Pinterest you can also have “group boards” where multiple people can share their content in one place for everyone to see. The beauty of having a group board is that it opens up your content to be seen by far more people that just on an individuals board. For more ideas on using Pinterest for real estate, check out our post: 7 Pinterest Ideas for Real Estate Agents. At the moment Pinterest does not have many real estate group boards so I decided to create one of my own. It is an open board for anyone in the real estate business whether you are a Realtor, mortgage broker, home stager, lawyer, home inspector or anything else that is related. For anyone interested they can join the Pinterest Real Estate group board by sending me an email, which can be found at the very top of the board. While social media is one avenue for acquiring business, Google searches remain the meat and potatoes of lead generation for a real estate agent. Google+ allows for a huge untapped source of exposure that most real estate agents are not using. Q. Is there still a place for offline promotional tactics in an increasingly digital marketplace? What tactics work best for you? A. Yes, I believe there are at least from a personal promotional standpoint. For me I like advertising in the local newspaper. My ads, however, are very different than most. I like to make something very creative that gives a lasting impression on people. They are not your typical, “I’m the #1 agent,” type ads. The ads I run typically either have a bit of humor or creativity via the use of a great graphic. The success of the advertising is based on both consistency and people remembering the adds. When you create an advertisement that leaves an impression on someone they are far more likely to contact you in the future. What I have noticed over the years is that many Realtors will try some kind of marketing effort and if it is not an immediate success they give up. More often than not what makes something a success in Real Estate is repetition. For example the classic mistake Real Estate agents make when doing mailings is looking for someone to call them to either buy or sell from that one mailing. What they fail to realize is you need to be in front of someone multiple times before your marketing will work to it’s fullest. When it comes to marketing the thing that every Realtor needs to remember is that you must continuously spend money to make money. Investing back into your business is super critical if you want to make it to the pinnacle of your industry. You will never find the best of the best not putting money back into the business! Q. What advice would you give to a new real estate agent who wants to create a personal brand? A. The best advice I could give is to start a blog and really put effort into creating outstanding content. Do not just churn out 300-500 word posts that don’t have any substance – this is what most Realtors do and it gets them nowhere. In order to be successful with blogging today, you need to provide quality, in-depth articles that make people think to themselves, “I want him or her on my team.” Keep in mind that with all the changes that have gone on in the SEO industry, it is very unlikely you will be able to rank for thin content that has no substance behind it. Google is looking for well-developed content that is not just a repeat of something that has already been published a thousand times. Thanks for the great tips, Bill. Be sure to check out Bill’s blogs and find more great insights. You can find him on Google+ and follow him on Twitter — @massrealty.